If Kevin O’Leary has his way, Donald Trump won’t be the only public official who won power as a businessman-turned-reality TV star. 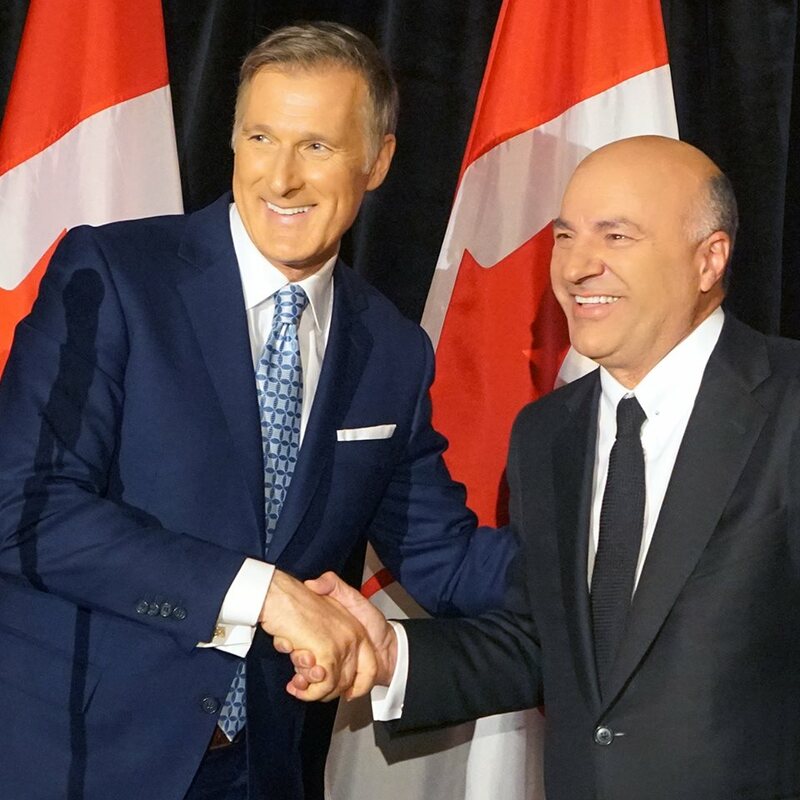 From the set of ABC’s Shark Tank — produced by Mark Burnett, who also brought Trump to the small screen with The Apprentice — O’Leary hopes to wage a campaign to bring his brusque ‘shark tank’ mindset to Canadian politics, first to the Conservative Party, then by bringing the fight to current prime minister Justin Trudeau’s Liberal government. 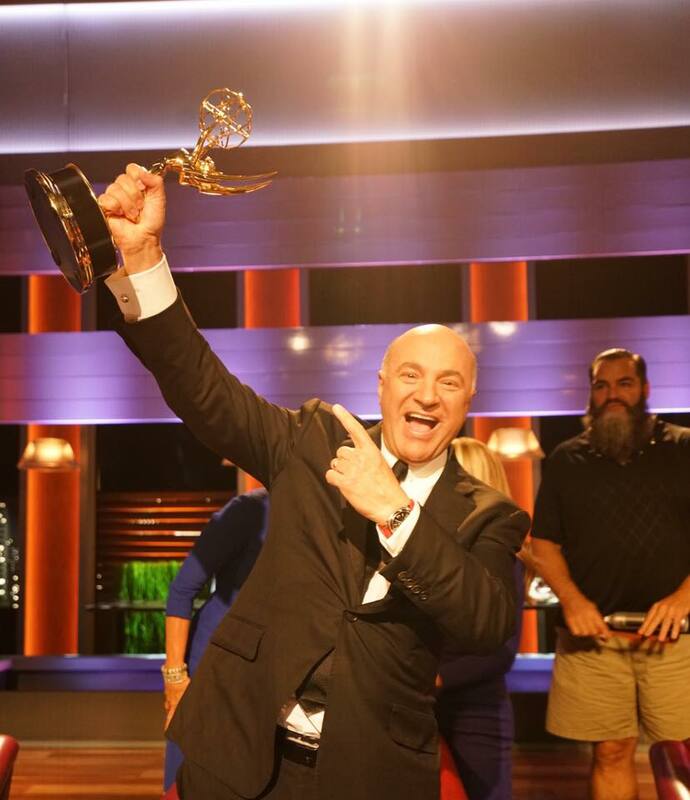 Unlike Trump, however, O’Leary will at least be able to say that he’s won an Emmy. After months of consideration, O’Leary three weeks ago entered the crowded race to lead the Tories. So far, he’s a shark who is making a splash. Less than a year into his tenure as the leader of the sovereigntist Parti québécois, Pierre Karl Péladeau abruptly stepped down on Monday, sending political shocks waves throughout Canada’s majority French-speaking province. Péladeau’s departure leaves the province without a full-time opposition leader, and the PQ’s troubles could cause voters to turn to an increasingly crowded field of nationalist alternatives. It’s just the latest setback for a party that’s suffered two tough decades after coming just 55,000 votes shy of winning Québec’s independence in 1995. Jean Charest, premier for nine years as the leader of the centrist Parti libéral du Québec (PLQ, Liberal Party of Québec), sidelined the separatists for nearly a decade. For a while, the PQ fell to third place after the 2007 elections. The party’s leader at the time, André Boisclair, the first openly gay party leader in Canadian history, spent much of his leadership alienating the party’s rural, unionized base and fending off charges of drug use and financial malfeasance. When voters finally gave the PQ a shot at governing in 2012, under Pauline Marois, the party immediately launched a needless effort to introduce the ill-named Charte de la laïcité (Québec Charter of Values), which served only to alienate recent immigrants to the province, especially Muslims, by purporting to ban religious headgear. After Marois called early elections in a disastrous effort to win a majority government, voters instead turned back to the PLQ under its new leader, Philippe Couillard, a former provincial health minister. Marois quickly lost control over the debate when a new star recruit — Péladeau — stood on a campaign platform with Marois and, fist raised, started calling forQuébec’s independence. That forced Marois to respond to hypotheticals about a third referendum, whether an independent Québec would use the Canadian dollar and how borders would work between Canada and an independent Québec. The PQ dropped to its lowest total yet — barely over 25% of the vote. 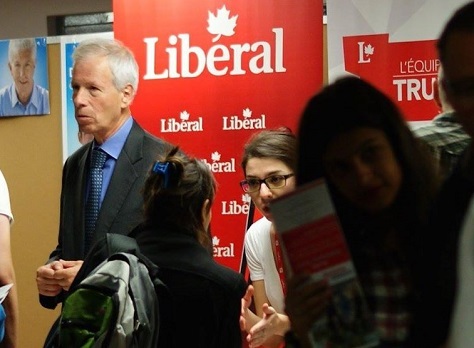 Meanwhile, its sister party, the Bloc québécois (BQ), won less than 20% of the vote in the 2015 Canadian federal election, and its leader, Gilles Duceppe, resigned (again) after failing to win his own riding. 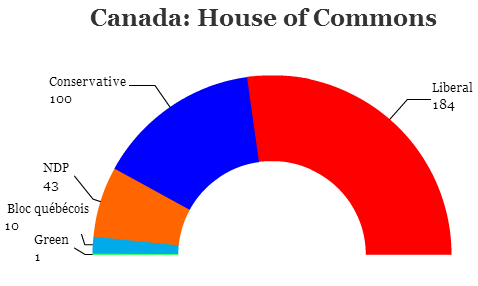 Its 10 seats in Canada’s House of Commons is somewhat better than the four seats it won in the 2011 election, but the days when the BQ dominated the province’s representation in Ottawa now seem long gone. After a needlessly long internal campaign, Péladeau emerged last spring as the easy winner of the PQ’s leadership election, and he defiantly vowed to make Québec a country. Almost immediately, however, Péladeau’s stumbles seem to outweigh his charms. He indulgently refused to sell the shares to Quebecor the media empire that his father once ran and that Péladeau himself ran until his decision to enter provincial politics. His business-friendly demeanor met with skepticism from the party’s left-wing members and union activists. Many of them left the PQ for the more stridently leftist and pro-independence Québec solidaire. Meanwhile, Péladeau was never able to steal votes from the ‘soft’ nationalist, center-right Coalition avenir Québec (CAQ), which dominates the vote in and around Québec City. 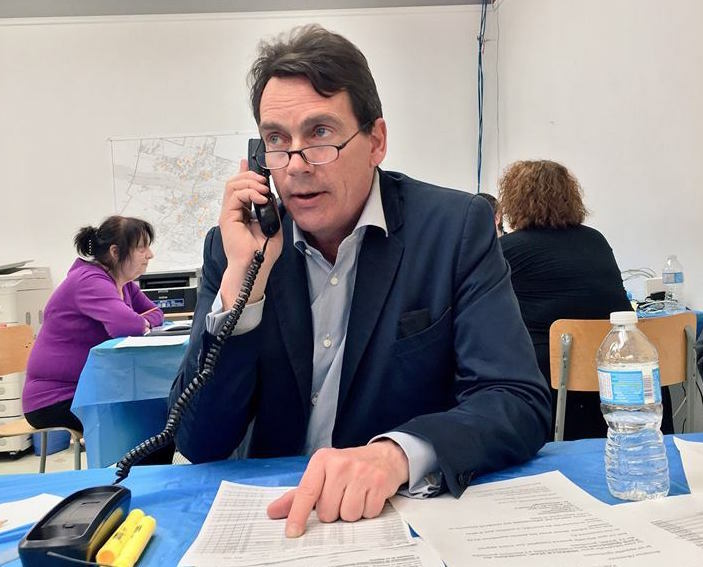 Péladeau’s hardline calls to make Québec a country nearly guaranteed that the PQ would not be the beneficiary of the Couillard government’s growing unpopularity due, on doubt, to two years of spending cuts aimed to achieve a balanced budget. 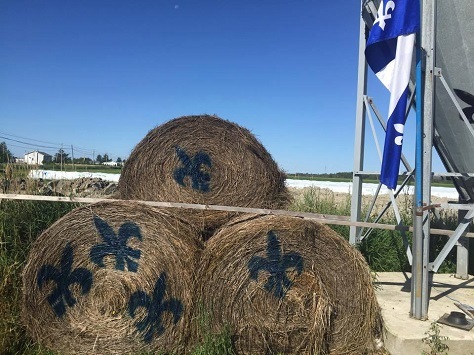 Though the most recent CROP poll from mid-April gave the Liberals just 33% support, the PQ drew just 26%, compared to 25% for the CAQ and 14% for Québec solidaire. 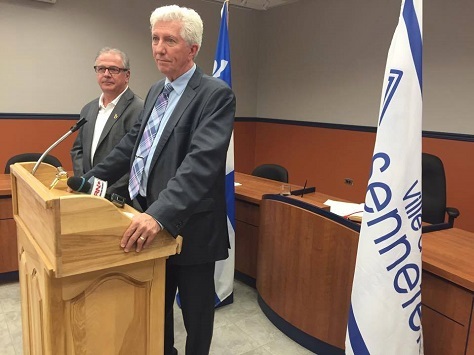 Having already announced the province’s 2016 budget in March, and basking in a Delta Airlines decision to buy 75 aircraft from local manufacturer Bombardier, it would not be the worst time for Couillard to call an early election. In one sense, Péladeau’s resignation gives the party a fresh start as the province starts the countdown to new elections, to be held before October 2018. Under a long interim leadership, the PQ might continue to lose right-leaning supporters to the CAQ and left-leaning supporters to Québec solidaire. The next election will be François Legault’s third as the CAQ leader, and it will be Françoise David’s fourth as co-spokesperson for Québec solidaire, and both remain incredibly popular. But there was a sense that Péladeau’s victory last May was the last shot for the péquistes to regroup, with increasingly bilingual young voters and rising numbers of immigrants, in particular, rejecting any abrupt separation with Canada. Demographics just aren’t in the PQ’s favor, and its next leader will have none of the name recognition or star power that Péladeau, for all his faults, brought to the PQ leadership. Alexandre Cloutier, a 38-year-old former minister and currently, shadow education secretary, ran second in last year’s PQ leadership race, and could provide a Trudeau-like appeal to younger voters. 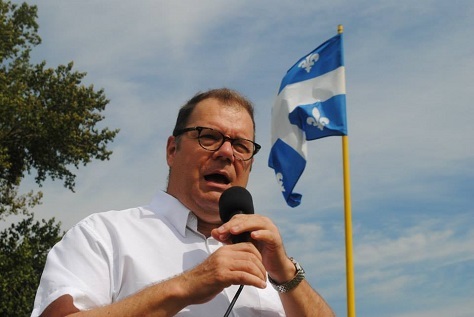 Jean-Martin Aussant, who left the PQ in 2012 to form Option nationale, dedicated to a more impatient brand of Québécois sovereignty, and who flamed out of provincial politics, could return as a 21st century version ofJacques Parizeau, the fiery champion of the independence movement. Bernard Drainville, who masterminded the Marois government’s push for the Charter of Values, is another possibility, as is Jean-François Lisée, who served as minister of international relations and trade under Marois. 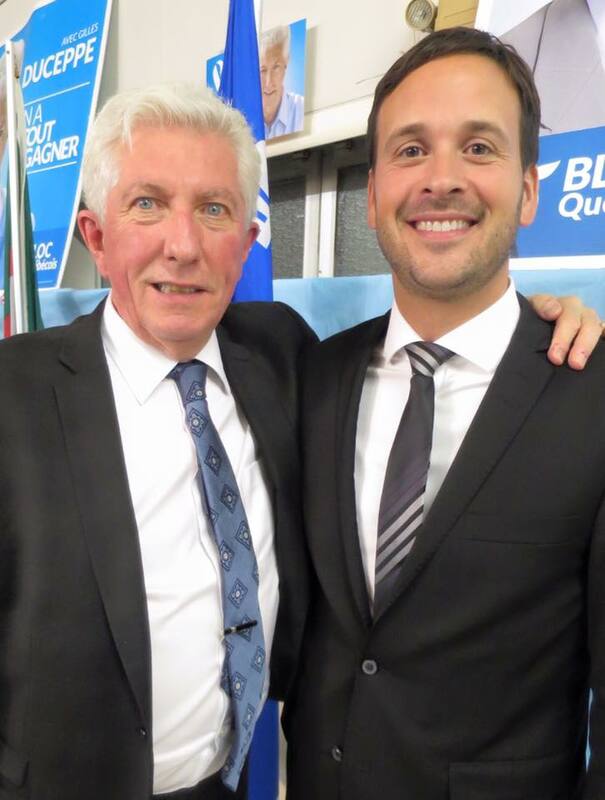 No doubt, old-timers will hope that the 68-year-old Gilles Duceppe, the BQ leader from 1997 to 2011 (and again, briefly, in the leadup to the 2015 election) will attempt one more comeback for the separatist cause. Even before Péladeau’s resignation, the PQ was already facing an existential problem as a party dedicated to independence in a province where the most separatist generation is literally dying out. In a country where even former Conservative prime minister Stephen Harper can call Québec a ‘nation’ without any major blowback, and where its current prime minister, Justin Trudeau, comes from Montréal’s most storied political dynasty, the PQ’s raison d’être seems even more like yesterday’s cause. Neither Péladeau nor his successor is likely to pick a fight with Trudeau, massively popular in Québec just as much as the rest of Canada, over sovereignty. No matter who the PQ chooses as its next leader, he or she will face difficult odds to convince Québec’s youth, its growing immigrant class and anglophones to support it as the chief alternative to Couillard’s Liberals in a political marketplace that’s more crowded with ‘nationalist’ parties than ever. In trying to be all things to all nationalists, the PQ risks its very extinction. 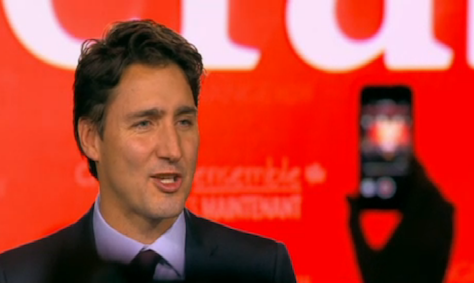 Earlier this evening, I live-blogged the third debate among Canada’s major party leaders. It was the first French-language debate and the only one (so far) to include all five leaders: Conservative prime minister Stephen Harper, Liberal leader Justin Trudeau, New Democratic Party leader Thomas Mulcair, Green leader Elizabeth May and the pro-independence Bloc Québécois leader Gilles Duceppe. You might think it’s hard to imagine any legislative chamber more dysfunctional than the US Senate, with its arcane rules, political polarization and virtual requirement that all legislation survive by a filibuster-proof majority. But Canada’s upper-chamber Senate actually surpasses its American counterpart for ineffectiveness — and as Canadians begin to focus on the October general election, a scandal involving expenses that implicates prime minister Stephen Harper’s chief of staff and Harper’s belated push for Senate reform could play a pivotal role in the campaign. 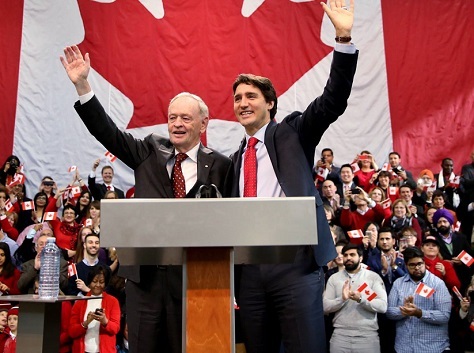 Unlike U.S. senators, Canadian senators aren’t (typically) elected. Instead, they are appointed by the governor-general, the mostly ceremonial representative of Canada’s even more ceremonial head of state, Queen Elizabeth II. 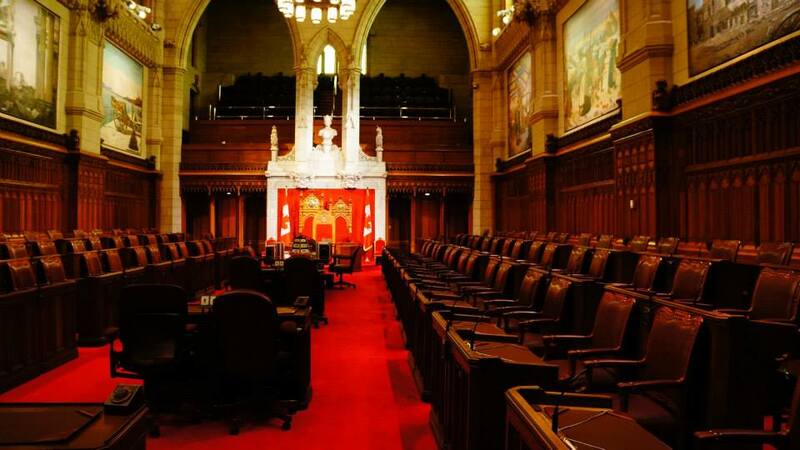 In practice, though, Senate appointments are made upon the prime minister’s recommendation, and he (or she) typically advances candidates on a political basis. 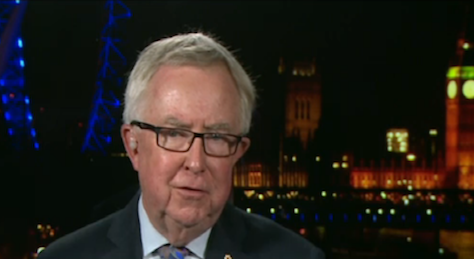 Often, prime ministers appoint former MPs and party grandees who have actually lost elections, further emphasizing the undemocratic nature of the Senate. 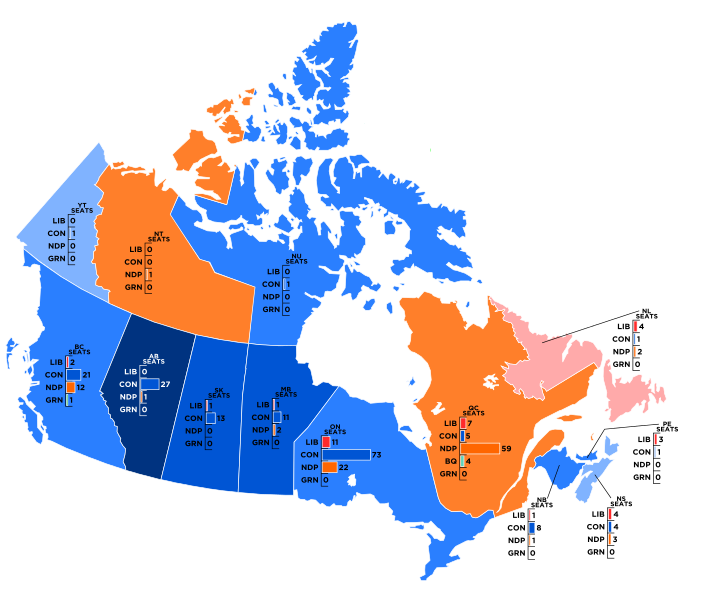 The Senate’s 105 seats are allotted by province — but not in any way proportional to Canada’s population in the 21st century — Ontario and Québec have 24 each, Nova Scotia and New Brunswick 10 each and British Columbia, Alberta, Manitoba, Saskatchewan and Newfoundland each have six. Prince Edward Island, with a population of around 150,000, has four senators — that’s two-thirds the allotment for British Columbia, which is home to over 4.6 million Canadians. Senators essentially serve for life, though a 1965 reform instituted a mandatory retirement age of 75. 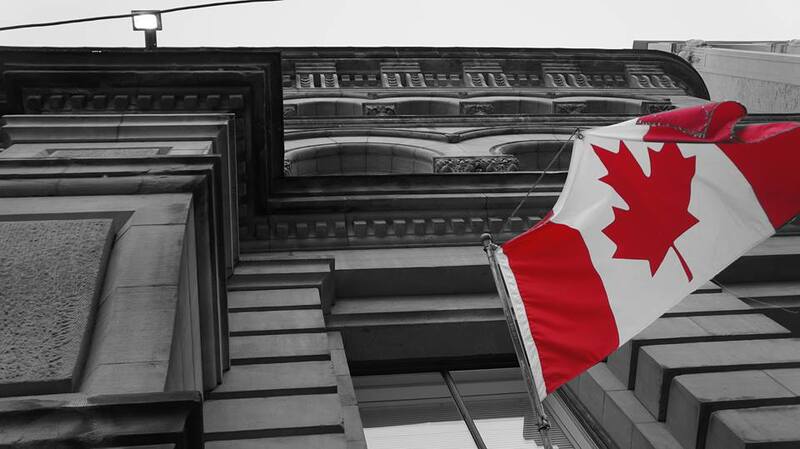 Senate approval is required to enact Canadian legislation. In practice, however, the upper chamber proves a far less contentious chamber than the U.S. Senate, functioning more like the British House of Lords. Bills almost exclusively originate in the lower chamber, the House of Commons. 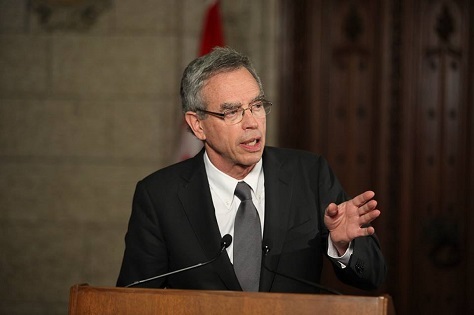 It’s usually a big deal when the Senate blocks legislation — its opposition to the 1988 free trade bill sparked a snap election over NAFTA, and in 2010, it rejected a bill (supported by every party except the Tories) that committed Canada to sharp reductions in carbon emissions by 2020. Generally, though, its activity is limited. Given that its members aren’t elected representatives, that’s probably a reasonable outcome. 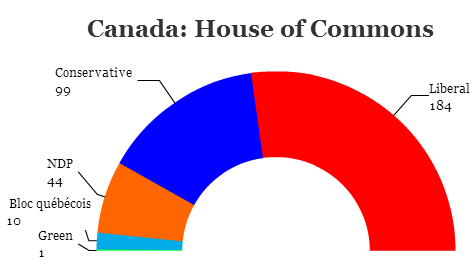 With prime minister Stephen Harper’s decision to call an election last week, Canada has now launched into a 13-week campaign that ends on October 19, when voters will elect all 338 members of the House of Commons, the lower house of the Canadian parliament. By American standards, where Republican presidential candidates will gather for their first debate nearly six months before a single vote is cast (for the nomination contest, let alone the general election) a 13-week campaign is mercifully short. 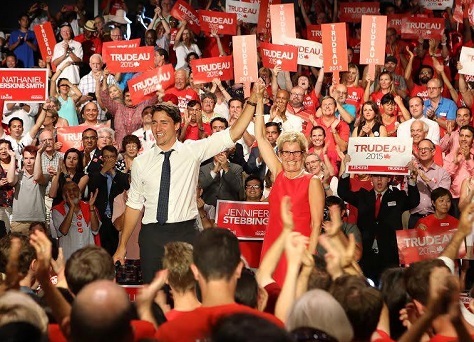 In Canada, however, it’s twice as long as the most recent campaigns and, indeed, longer than any official election campaign since the late 1800s. But the major party leaders have already engaged in one debate — on August 6. 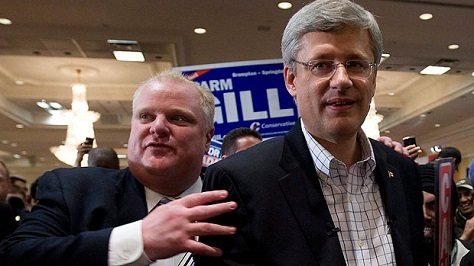 Plenty of Harper’s critics suggest the long campaign is due to the fundraising advantage of his center-right Conservative Party. 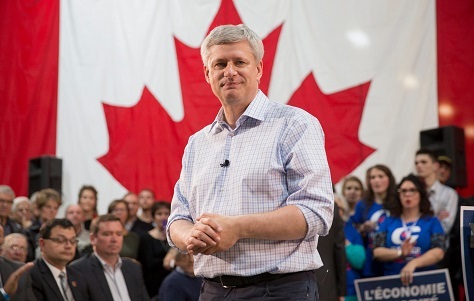 Harper, who came to power with minority governments after the 2006 and 2008 elections and who finally won a majority government in 2011, is vying for a fourth consecutive term. He’ll do so as the global decline in oil prices and slowing Chinese demand take their toll on the Canadian economy, which contracted (narrowly) for each of the last five months. 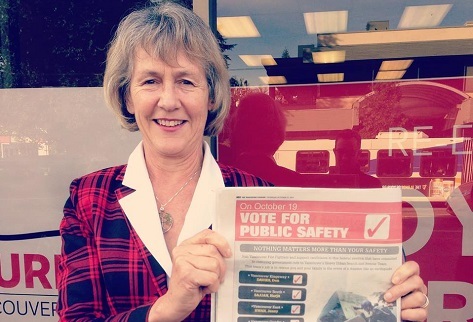 Energy policy and the future of various pipeline projects (such as Energy East, Kinder Morgan, Northern Gateway and the more well-known Keystone XL) will be top issues in British Columbia and Alberta. Economic growth and a new provincial pension program will be more important in Ontario. 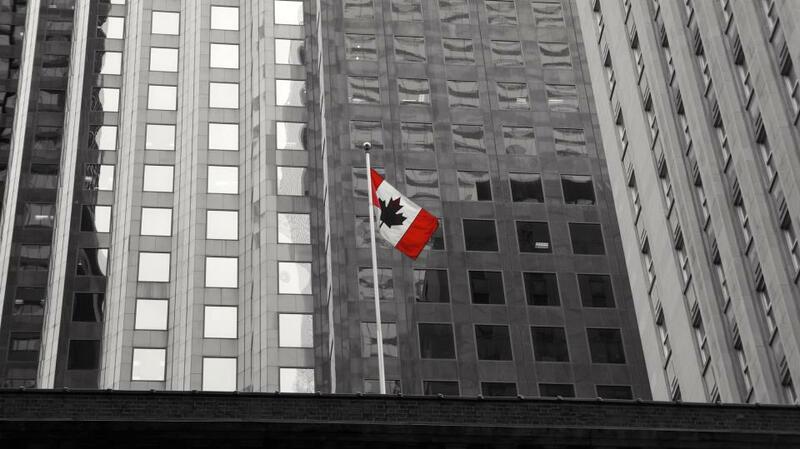 Sovereignty and independence will, as usual, play a role in Québec — though not, perhaps, as much as in recent years. In reality, the battle lines of the current election have been being drawn since April 2013, when the struggling center-left Liberal Party, thrust into third place in the 2011 elections, chose Justin Trudeau — the son of former Liberal prime minister Pierre Trudeau of the 1970s and 1980s — as its fifth leader in a decade. 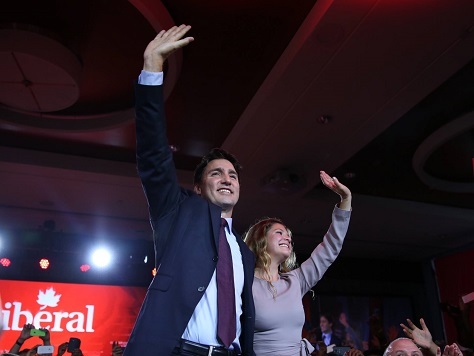 Trudeau’s selection immediately pulled the Liberals back into first place in polls, as Liberals believed his pedigree, energy and sometimes bold positions (Trudeau backs the full legalization of marijuana use, for example) would restore their electoral fortunes. Nevertheless, polls suggest* that two years of sniping from Harper about Trudeau’s youth and inexperience have taken their toll. 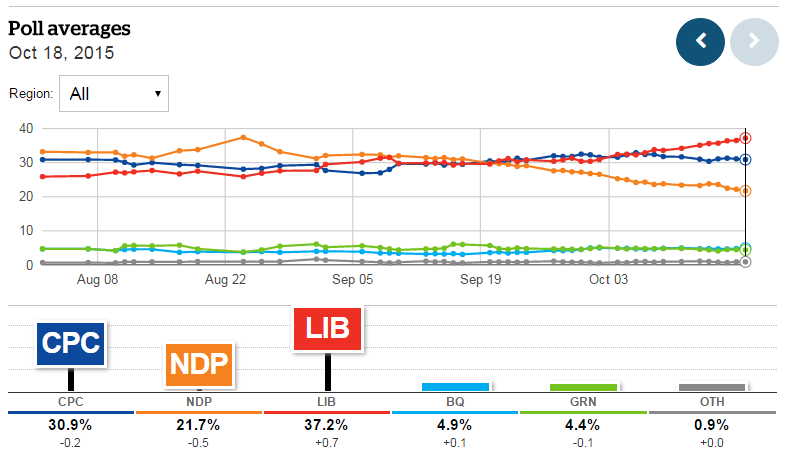 The race today is a three-way tie and, since the late spring, it’s the progressive New Democratic Party (NDP) that now claims the highest support, boosted from the NDP’s landslide upset in Alberta’s May provincial election. 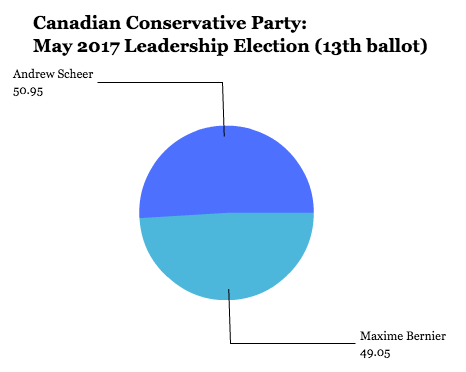 (*Éric Grenier, the self-styled Nate Silver of Canadian numbers-crunching, is running the CBC poll tracker in the 2015 election, but his ThreeHundredEight is an indispensable resource). 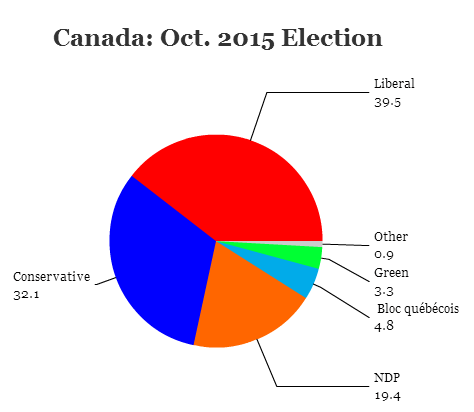 With the addition of 30 new ridings (raising the number of MPs in Ottawa from 308 to 338) and with the three parties so close in national polls, it’s hard to predict whether Canada will wake up on October 20 with another Tory government or a Liberal or NDP government. 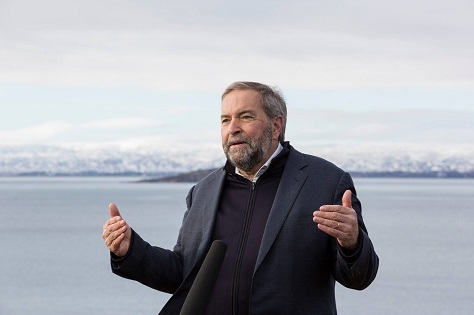 If no party wins a clear majority, Canada has far more experience with minority governments than with European-style coalition politics, and the Liberals and NDP have long resisted the temptation to unite. Canadian government feels more British than American, in large part because its break with Great Britain was due more to evolution than revolution. 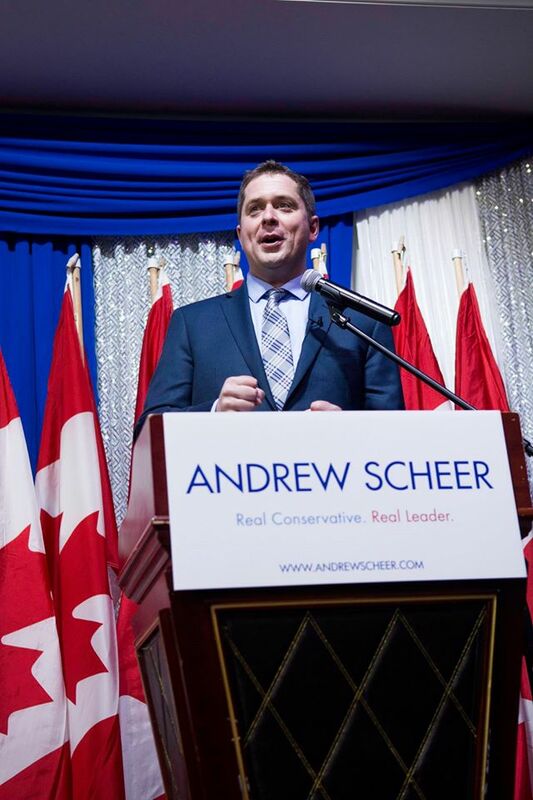 Nevertheless, political campaigns have become more presidential-style in recent years, and the latest iteration of the Conservative Party (merged into existence in 2003) is imbued with a much more social conservative ethos than the older Progressive Conservative Party. 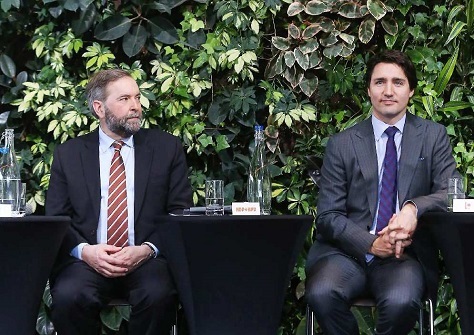 The fact that polls are currently led by a left-of-center third party, the New Democratic Party (NDP), also demonstrates that the Canadian electorate, which benefits from a single-payer health care system, is willing to shift more leftward than typical American electorates. Provincial politics do not often portend changes in federal politics, but the 2015 election is proving to be influenced by political developments in Alberta, Ontario, Québec, Manitoba and elsewhere, and many provincial leaders have not been shy about voicing their opinions about federal developments — most notably Ontario’s Liberal premier Kathleen Wynne.